1. Choose Pages > Add new. 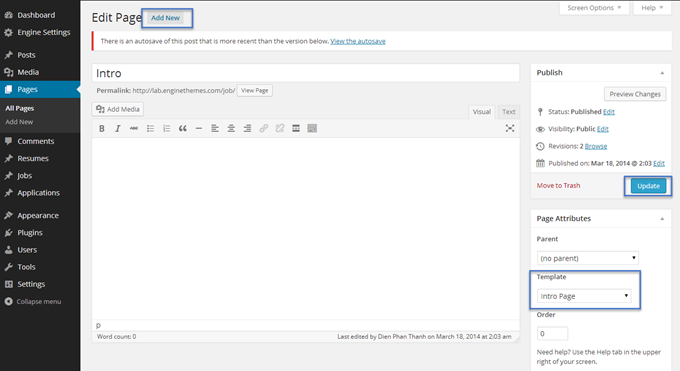 • Insert the title and content for your page. • In the Page Attributes > Template section. Choose "Intro page" option in the dropdown list. • Update all your settings. 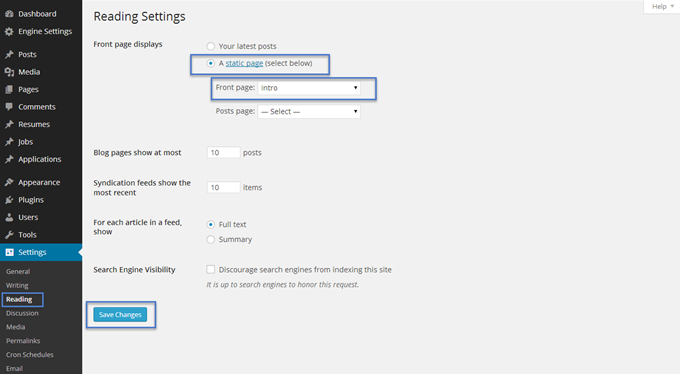 • In the Front page displays section: Choose "A static page (select below)" option. • In the Front page section: Choose "Intro" option. • Click Save Changes to complete your settings.